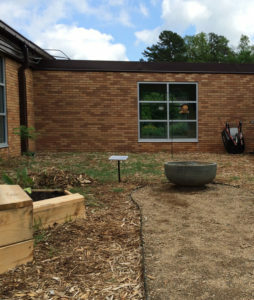 Our pollinator garden, generously financed by a grant from Charlotte North Rotary Club, is the latest addition to our school. It is becoming a home and refuge for birds, bees and other pollinators. 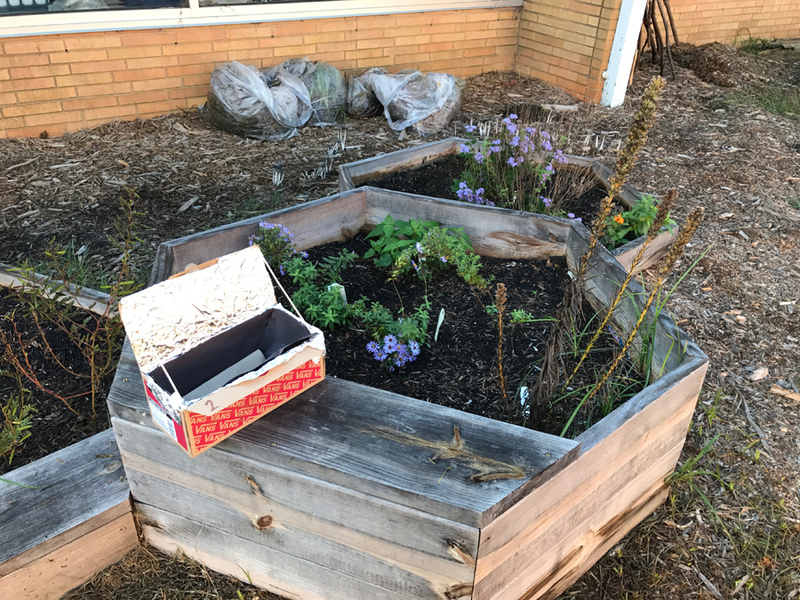 The fifth grade classrooms look out onto the space, and fifth graders are taking responsibility for the bird feeders and other aspects of the garden. They will study the birds that visit, focusing on Ruby Throated Hummingbirds, Carolina Chickadees, Goldfinches, Eastern Bluebirds and Downy Woodpeckers. 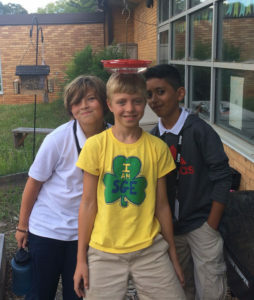 They also use the space for other activities, including science projects.